Please measure carefully, and indicate CM (centimeters) or IN (inches). There are no returns. Enter details for your custom harness. Ensure a perfect fit with this custom tailored body harness made to order for your dog. The best solution for giant breed dogs and/or hard to fit body types. 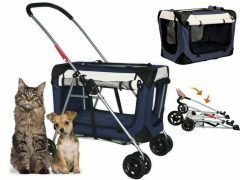 Includes additional Velcro closure, no-slip fit, choice of color and adjustable/detachable handles with optional shoulder strap. Purchase includes coupon for $5 Off Tripawds E-books! 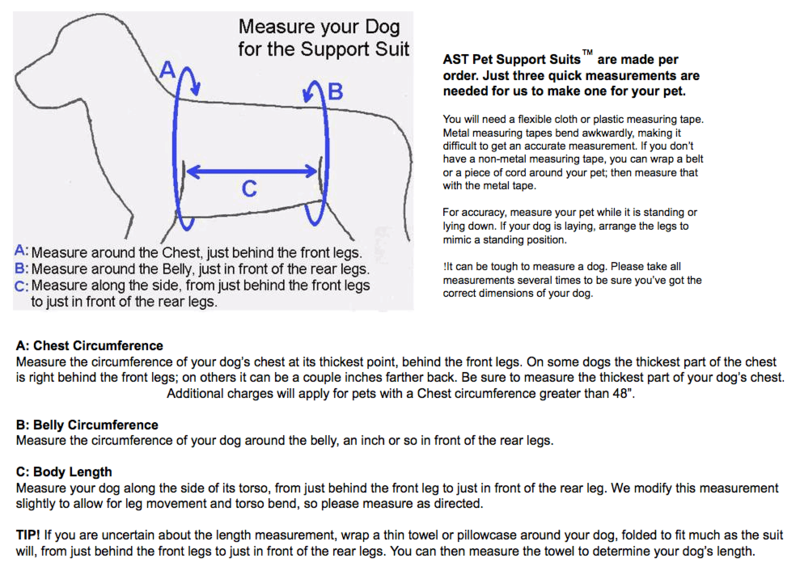 The Custom Pet Support Suit by AST is a Get A Grip harness custom-tailored to your dog’s specific body measurements. 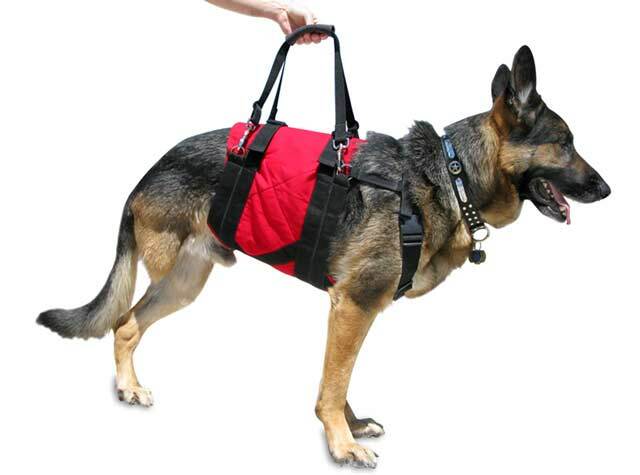 This solution is best for giant breed and hard to fit dogs requiring additional support. 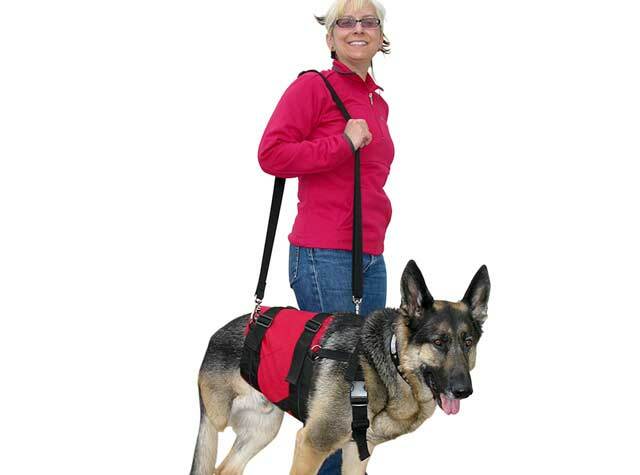 It is ideal for deep chested, heavyweight, or more physically challenged Tripawds. The Pet Support Suit provides superior under-belly support, and lifting comfort. 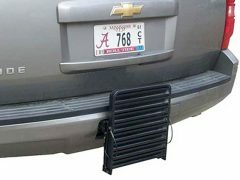 It includes removable two clip-on handles. 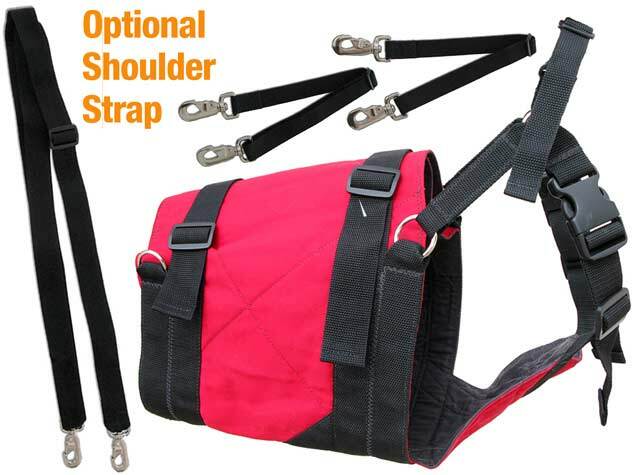 An optional shoulder strap is available to easily support larger dogs. Please select preferred handle options. Includes free shipping via USPS Priority Mail. Purchase Express Mail for rush delivery. Customers outside the US must select Priority Mail International shipping. NOTE: No returns are allowed for this custom-tailored product. Please measure carefully! View sizing tips here. 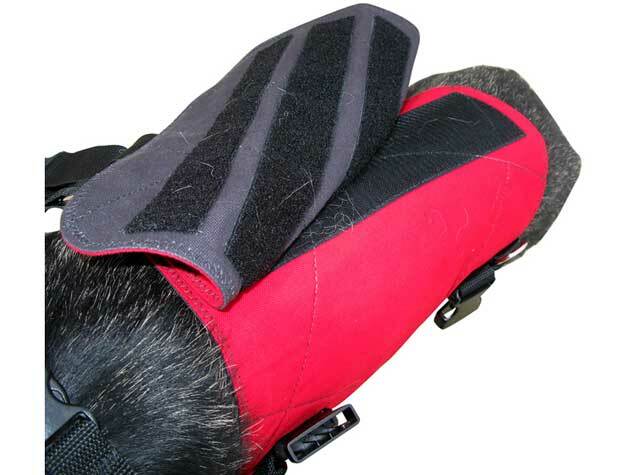 Each Pet Support Suit is designed with your specific dog in mind, and custom tailored to size. 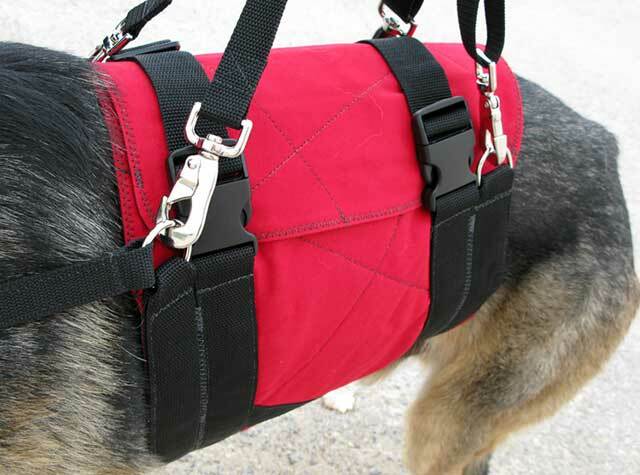 For hard-to-fit breeds with exceptionally long or short torsos, or a very thin belly compared to the chest, this harness is the best way to ensure that you get the control and support needed for your dog. All AST products ship via USPS Priority Mail. For rush delivery within the U.S., select Express Mail. All customers outside the U.S. must select Priority Mail International and are responsible for any applicable import taxes and duties. 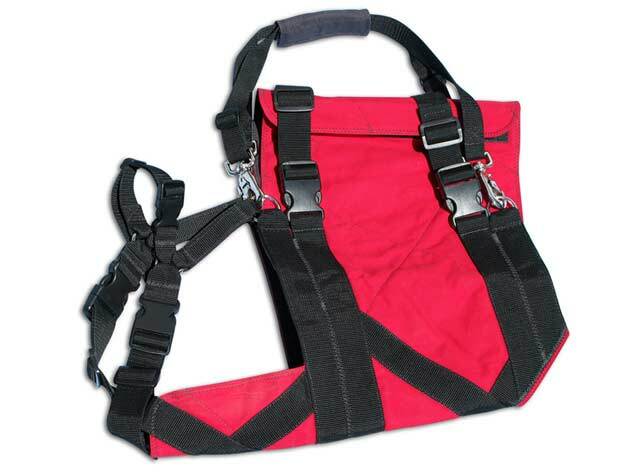 NOTE: Custom harness requires 3-5 business days for production. 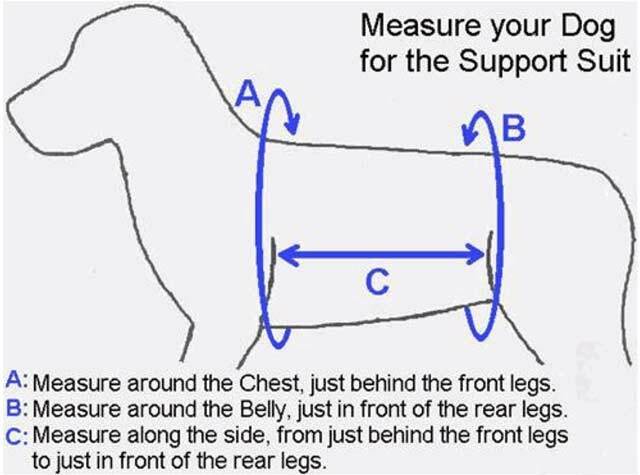 There are no returns allowed on this custom harness, so please make sure it’s what your Tripawd needs, then measure carefully. Colors may appear slightly different than they show on screen. 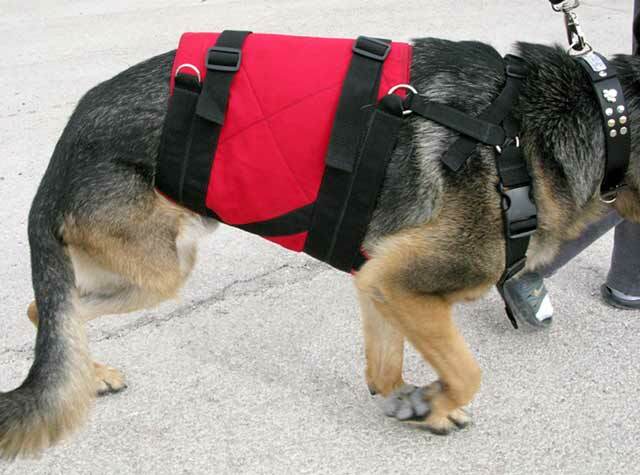 Be the first to review “Custom Pet Support Suit Harness” Click here to cancel reply.